Suite 140, 550 - 71 Avenue S.E. Calgary, Alberta – Since 1981, Cedarglen Homes has welcomed thousands of families into their new homes in Calgary communities. 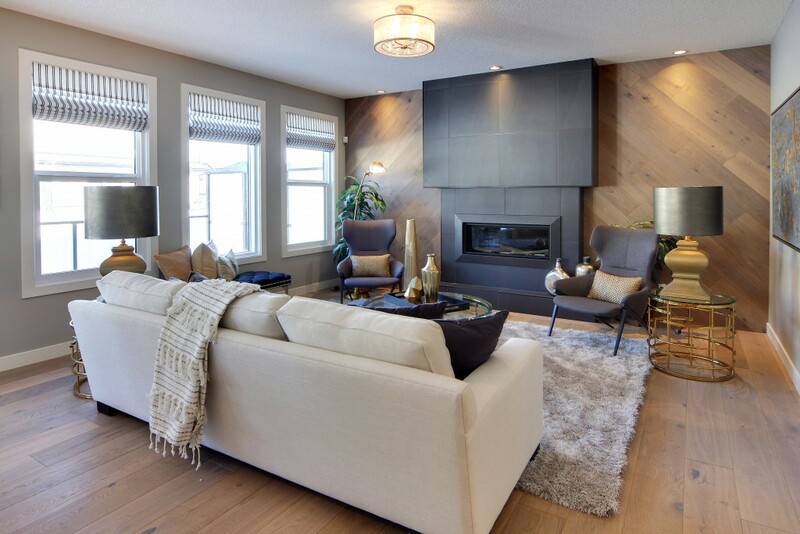 They partner with reputable developers in Calgary’s family-friendly communities to bring you quality construction, exceptional design and amazing features and upgrades that make every Cedarglen-built home unique. 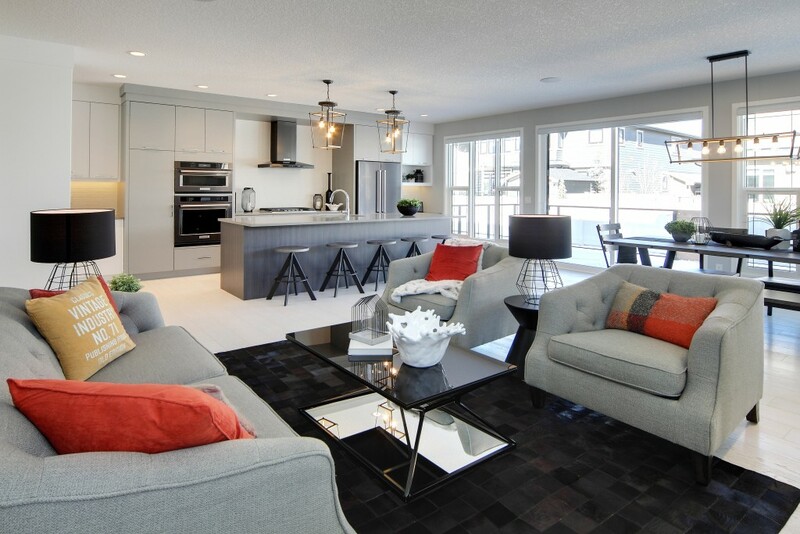 Cedarglen Homes is building on over 35 years of experience as one of Calgary’s leading new home builders. They are more than just a Master Home Builder. They are a family of dedicated professionals extending to trade and supplier partners. Every member of the Cedarglen team values integrity, quality and people. Some of the differences that have helped Cedarglen stand out among the competition include their Energy Efficient Building Elements, Superior Specifications Packages, and award winning online customer portal, Your Home On-Track. Contact Cedarglen Homes today to learn more about the Cedarglen Homes Building Process. Overall Richelle and Cristina were very thourough and professional in all aspects and very respectful of our concerns and quick to respond to our needs. Keep on doing the excellent work you do! Once all of our selections were made, the building process was incredibly smooth. Clear communication and timely responses! Any time we had questions, Greg responded right away and any issues were addressed immediately. Courtney has been amazing to deal with, she definitely went above and beyond to make sure we had a good experience. Wayne and Bill have also been very pleasant, knowledgeable, and easy to work with. Great experience we had building with Cedarglen. You are made to feel the ownership of home even before construction start. Friendly, experienced staffs/trades. Great builders . Ild build again & again with Cedarglen?? Overall it was an amazing experience building a new home with cedarglen. Very professional and courteous staff. I would definitely recommend Cedarglen to a friend or family. My first time building a home and overall I am extremely satisfied with the service they provided I don't think there will be any other builder like Cedarglen. They are by far the best builder not only in this community but definitely the best builder in Calgary class of homes that they build. Was really easy to work with Cedarglen. Walk through employees were excellent. Reception/emailer never understood we bought the home complete and kept asking questions about our intended build project. Document provision to our lawyer was poor as well and were irrelevant when purchasing a home that was already completed. Home itself has beautiful finishing and is a good quality build. Unbelievably happy with the process. We would build with Cedarglen Homes again. We probably should of negotiated the price of the home a bit more at that time when we first purchased. The backyards could be a bit bigger lot. Overall a good experience. The only thing I would change is letting the new homeowner know that when they are choosing the Elevation of the house they also choose the garage door and exterior door and that there are options if they want to change or upgrade. When I selected my elevation I didn't realize I had also chosen the look of the garage door and the exterior door. I didn't think of asking if it was even an option to change it until it was too late and too expensive to change them. I am happy with what I ended up getting, every person involved from Cedarglen along the way has been an absolute pleasure working with, very fast to reply any emailsor questions. Julie, Christina, Mike, Stacey and Martin all have been very helpful and made the entire process very exciting for us. Not much. Went fairly smooth. I think your team is great and overall the experience was very good. I think you may want to review some of the trades you have selected that aren't the best and lack workmanship and quality or doesnt send experienced staff on site. The customer service team was great, specially Janet. We had concerns about obe individual but that person left cederglen ling time so no more concerns. Would be great to have flexibility with a few more options, such as wood finishing colours. There was a hiccough with our lighting/electrical orientation, but everyone involved worked to rectify the situation, which we appreciated. When selecting the plot I was not aware of the electrical transformer on the plot we chose. Had I known, I would have selected a different plot. Even if the location of the transformer is not confirmed at the time of selection it would be beneficial (and extremely appreciatiive) to communicate this to the customer when known and allow an opportunity to accept. I noticed on one of my visits to the development what I thought was flooding in the area. When I enquired, it was explained that the accumulation of water on certain streets was by design of the drainage system. If this is known and a customer is choosing an a plot in a section of the development that experiences this phenomena, then that should be brought to his /her attention. It is better to not try to complete the entire interior selection within 1-2 days. Allow for three days to avoid making decisions when tired or rushed decisions. If it is possible to change the dimension of the house i.e. marginally extending either the length or width then that advice should be communicated as an upgrade option. On house security pre-wiring should propose options for external cameras and motion sensor lights. Building with Cedarglen has been great. All the Cedarglen staff that we have worked with have been excellent. We didn't follow-up the typical sales process as the transaction was handled directly with the Sales Manager (was great) and the design process was pretty flawless. It is hard to picture how things will look from the small samples and I am not sure there is really a way to fix that as renderings will not paint an accurate picture either. Although we now have a great relationship with Cindy, it was very clear that she was new in her role when we met. It would have helped for the entire design/building process to be more clearly communicated, as we felt misguided about the amount of time and meetings required (which was a lot more than initially explained). Jess was absolutely outstanding and we have complete trust in her expertise and experience. Since finishing the design process with her, we have felt much more confident in our decision to work with Cedarglen. Cindy was our first point of contact at the Cedarglen show home in Riverstone. She was not high pressure and made us feel at home while we looked at different floor plans and interior selections. We decided on Riverstone because of the feel you get when you drop down into the river valley with all the trails and green space. Once our current home sold we did not have time to go through the build process without moving twice...We stopped at a spec home one day and I happened to meet Jason our future field supervisor for our home. He spoke highly of the company and the construction process and offered to explain some features and standards of a Cedarglen house. I took the tour and was sold on the home based on what I thought was good value for the level of craftsmanship, insulation and energy efficiencies. And for the first time ever, when we got the keys to the house there were no outstanding deficiencies. We would have made sure we had a babysitter for our kids. We had some distractions which made us forget to ask/clarify questions we had. Which in turn caused some errors a long the way. Our experience with Cedarglen has been exceptional from the beginning to the end. It started with excellent sales staff Dennis Mullen who worked with us to ensure that we were purchasing the most appropriate product and making sure he met our needs. The design staff, including architect, cabinetry, design and customer service worked hard to ensure we were going to be happy with the style, adjustments and interior selections. Our construction manager Kyle Barron was patient and knowledgeable and always willing to go the extra mile to ensure we were happy and understood everything. Upon the possession of our home the response team, Janet took excellent care of us whenever we had a warranty issue. Steve Kutcher took over as our construction manager upon Kyle's promotion. He has gone above and beyond to ensure that all issues were dealt with in the warranty year. Overall, we are very satisfied with the build and customer service we have received. We would not hesitate to recommend Cedarglen as a builder to family and friends. My experience with Cedarglen has been excellent. The Construction Manager - Tyler is simply superb to work with. He not only seemed technically very sound, but he was also very customer friendly. He paid attention to our needs and showed interest in making things work. I have heard horror stories from some of my friends regarding their home building experience, but I can surely say that Tyler made it a really pleasant experience. Another person I'd like to mention is Rosalyn from the back office team. She also contributed a great deal to this pleasant experience. She was extremely patient and very customer-friendly; and very helpful throughout the process. I'm also quite impressed with the after sales support - the Response Team was very prompt in scheduling visits for couple of requests we made and also followed up with me to work with my schedule. There are couple of questions on this survey regarding quality - I couldn't respond to those confidently as I think I will get to know of quality once I would have spent some more time in the new house. Moreover, my water heating system leaked couple of weeks ago, and that got me a bit concerned about the quality. Moreover, I have a specific feedback about the lighting vendor - Cartwright: I had a very bad experience working Cartwright, and quite honestly, that was the only bad experience throughout the process. Their display of flush mounts at the store was misleading; they added notes regarding height of dining nook light without discussing with us and then refused to address the issue claiming that I had signed on the requisition (though this was finally resolved post Cedarglen's intervention); their advice in selection of bulbs per the area of washrooms didn't help much..etc. Overall their approach just didn't seem to align to the customer-friendly approach that Cedarglen's internal team demonstrated. Nevertheless, I will surely recommend Cedarglen to my friends because of the great service and the people at Cedarglen.... in fact I have already done that. The team I worked with was dedicated, knowledgeable, honest, dependable and really a pleasure to work with. 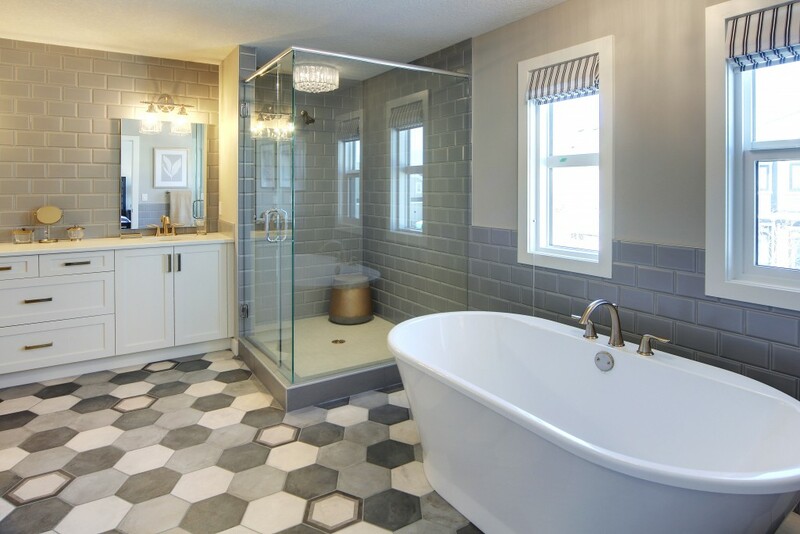 I have built homes in the past with other builders and they paled in comparison to the superior experience we had throughout the entire building process with Cedarglen Homes. I honestly cannot say enough great things about Cedarglen; a builder who is miles above and beyond the competition. An absolutely wonderful experience with the Cranston Cedarglen team from start to finish. The staff took an extremely friendly and professional approach throughout the entirety of the build, and dealing with deficiencies was quick and painless. A new home build will always have it's hiccups, the end experience is highly dependent on how your builder rectifies these issues; Cedarglen never hesitated to address hiccups as they arose, and always dealt with them in a timely manner. I would without hesitation recommend Cedarglen as a builder, and I personally had an incredible experience with the Cranston Riverstone team. Thank you Ryan, Greg, Cindy, Cristina and Rosalyn for everything! Everything went very smoothly - had to reselect tile at a late date that caused some stress but overall very happy with how things went. Still have to resolve our door issue but ball is in our court to discuss with door supplier before we see how you will handle it. Heard lots of other stories from people building currently and it sounds like Cedarglen provides the best experience. Having the design center is great and the trades seemed to really care and do a good job. They are very professional and built a quality home for us. They were friendly. Everything is great and they are great people to deal with. When it comes to choosing the materials in the house and they are limited with the vendors they deal with. We live in an open market and we should be ankle to choose from who we want. There was a product I could have bought for $500 that they would charge 1000 for. You are stuck and can only get things from their vendors. There are things that I couldn't even get because those products through their vendors. They should allow their clients to access public products. They do all this all upfront before construction start so they should be able to work with this. I wanted to get a better toilet and it was $5400 through them but I could buy it for $200 in a store. They do not communicate at all and they have done nothing to compensate for that. Poor client service when it comes to that. I feel like I am getting ripped off. When you do get a credit it is only $50 but if I were to choose for an extra one it would be $500. It would be cheaper for me to get it done afterwards but that is redundant when you are building a new house. To tear a bunch of new stuff out to put the stuff I want in. They don't allow access to the market. 90% of the time I was able to get better pricing but they would not allow me to use them. They could source from my suppliers but they just want to use their sources. I am very disappointed with that . That is why if I would recommend them that is why I would say no. If you want cookie cutter things then go ahead but you should be able to select whatever you want and not be limited by their vendors. I did find that the sales people rush our decisions, like picking stuff. We weren't given enough time to decide on upgrades and stuff like that. They experience was great and everyone was helpful. We wish there were more options for sink taps. We hear that other builders were allowing the home owner to source their own sink tap. We got something we didn't like and there was nothing we could do about it. I think there is place for improving the communication between trades and builder. To allow more exterior color choices. Exterior colors were limited and we were told that we are not allow to pick exterior colors that is close to our neighbor color. But when the next comes they get to pick the exact color as the neighbor next to the. Which makes us wonder why????? The whole experience was amazing and everyone was so accomodating to our requests. We wouldnt change anything about our experience with cedarglen. One thing that would have been super helpul would be seeing the exterior colours of siding/wood and stone on the computer instead of seeing the elevation and sort of blindly putting colours together. I think the whole process has been good from start to finish. There were some items promised to have been dealt with, that weren’t that we felt warranted more of a response than what we received, but overall enjoyed our experience and are thankful for our home. Its all good but would be nice if there is more flexibility in deposit payment and more options for selection appointments regarding time and days. Our Site Supervisor Steve is phenomenal in his customer service level in addressing all our concerns throughout the construction of the home. He made commitments that were delivered, followed up on items of concern, and kept in communication. There were some major deficiencies that were a result of the subtrades not installing to the standard and had to do several rework (ensuite shower glass, ensuite bench, ensuite tile and schluter, fireplace dyelot tiles wrong, fireplace drywall and tile, hardwood damage, exterior stones color, garage door stopped working) but Cedarglen response team, site supervisor and Anthony were quick to respond and provide plan to resolve the issues quickly. I would buy a Cedarglen Home again because of the service I received from the Cedarglen Team, I want to give special mention and thanks to Jason Talbott, who does such a great job as site supervisor and is always there to help. He goes the extra mile for his customers and is just a great guy! It was a pleasure dealing with him. Love Cedarglen! ???? We bought a spec home with a quick possession once we sold our existing home and the Cedarglen team was excellent in facilitating our short closing date. We received very good value and are very happy with our new home! The service personnel and in particular Jason Talbot have been excellent to deal with in our first year. The only comment I would like to share is that the sales process prior to building was at times not pleasant. We were made to feel rushed in some of our decisions and at times this was uncomfortable. Steve Kutcher is a great site supervisor, really appreciate his above and beyond work attitude through the process. Cristina and Julie were great to work with as well. The home-building experience with Cedarglen was great. Everyone involved was respectful, kept us informed, and worked to accommodate special design requests that we had. Having access to YourHomeOnTrack is an awesome tool to stay informed of the progress and also retrieve any documents that we signed and agreed to throughout the process. Really happy with our new home! Amazing builder! We would recommend Cedarglen to anyone interested in buying a new home! Whitney Chan was great to deal with in the office for any service issues we brought up. We were happily surprised with how fast she dealt with anything that we brought to her attention. Steve Kutcher was an awesome site supervisor to deal with at our 1-Year inspection. He didn't overlook anything we brought up and he made sure the trades maintained their high quality of workmanship for anything that needed looking after. Steve went above and beyond, and did it all with a friendly smile on his face! We are very happy we chose to build our home with Cedarglen! Best experience to buy new home. I love my My House Thanks Cederglen. Cedarglen Homes has delivered a very great customer experience the entire time of building our first house. All the staffs were prompt to response to our requests and questions. Tyler was really great to work with on site and Julie was great in the office. Overall the experience we have had with Cedarglen is commendable as they have been so accommodating and hands on in all of our concerns. We feel not just customers to them but a valued client and they give their best in providing us the best service we deserve. This was a great experience for us. Cedarglen's purchase/design/selection and building processes are so well organized that it made for a very fun and exciting build. We were very happy with the entire process, from working with the sales team right up through possession and post-possession. I would highly recommend Cedarglen we had an outstanding experience. It was literally flawless and all our concerns were address immediately. Having a digital tool that would allow clients to visualize their exterior colour selections would be extremely value-added. Deciding on the exterior colours using the smaller paint board was hard to visualize. Overall, we are extremely pleased with the level of service provided by Reda, Rosalyn and Jessica. These individuals provided prompt and professional service that can not be replicated. Great experience with CG. Processes was daunting but CG made it flow efficiently with their friendly staff. Deficiencies were minor. Very happy with our home and the service CG provided. Thanks! It's been a positive experience. - the Interior Designer was great and was very helpful in helping us with our colours and selections, the colours turned out great, even though we were limited with our choices as one of the last to choose our colours. - the sales mgr and team were great with answering our questions. Our construction supervisor Jeff was friendly, accommodating and did a great job. It would be really great if, during the design selections phase, we were able to see a 3D rendering/mockup of our new home (or even a generic new home) with the paint color choices we select before we confirm them as final. More clear out standard vs upgrade. Very please with Interior design process. Everyone was very easy to deal with. We had a great experience building with Cedarglen and we truly love our home. All of the issues that occurred during our 12 months were resolved efficiently most of the time. Good communication most of the time, but a bit more would be nice for issues that are trying to pre resolved after the 12 months. Amazing builder. We got the house that we want. Excellent team! Building a home is a challenging process, I would like to commend Kiberley and her team for their helpful and patient attitude, Kim worked hard to secure our business by providing great value through her experienced counsel, enthusiasm, and advocacy. Initially, we had some specific lot and design requirements that we needed confirmation on, the Cedarglen team 'bent' their standard process in order for us to review the plot plan and grading in advance to fine tune the requirements for the third bay of our garage. Sam was very helpful in bringing our concept to fruition, even before we had a firm agreement. Our CSR Richelle was great, she held our hand through the selections process and met us in our home for our occupancy. Jay Talbot was a treat, very personable, ran a clean process with a good eye for detail and demonstrated and easy rapport with Colleen and myself, as well as with his trade partners. I should mention that Jason made some good, client-focused decisions through the build that really added value and contributed to our experience, such as recognizing a specification error with the 3rd bay overhead door operator, and a misunderstanding between our expectations and the formal paperwork for the finishing package. I appreciated Cedarglen's 'no-rush' approach to the build; it certainly could have gone faster, however I think that having a few down days here and there provide some necessary pressure relief both for team and project; overall I believe that the approach contributed to a quality build. I (for one) probably could have benefitted from less choice in an interior selections package, i.e. to be able to choose from designer palates that are pre-established, either that or way more time to go through the combinations. Well-done Cedarglen. My builders are quite competitive and highly experienced. We love our dream house and it was possible because they have excellent team who assist us to build it. Much appreciated. Site manager Jayson Talbitt was great, very responsive to emails and question. My experience has been great so far: Stacy, Reda, Mike, Richelle and Jessica have been very helpful. I will highly recommend Cedarglen Homes to my friends and acquaintances. Our construction manager was very professional and pleasure to work with. He built trustful relationship with us. Although the laminate flooring took a few tries before it was completely fixed, we are happy with the overall workmanship and the result of the built and we know that we’ll enjoy our new home for years to come. Overall very good product and everyone was helpful. We did get a few issues with change orders but the the lady was let go and was replaced by Allison and she was great. I am so happy that I picked Cedarglen and I will recommend them to a friend and family members. Everyone is friendly and helpful. The build quality is pretty good. If I will another house , I would like to go to Cedeglen Homes . I am very much happy with their services and constriction. Cedarglen built us an incredible custom home with very few deficiencies. It was an amazing experience with each of the service providers and trades. Cedarglen teams used effective communication and efficient resolution processes throughout the build, possession and first year ownership providing us with an overall strong confidence and assurance in our builder choice. Using Cedarglen as our builder was an impressive and positive experience we would recommend to anyone! I really enjoyed the design and construction process. I love how open and honest Cedarglen was throughout the process, and that we were able to visit site whenever we liked. Working for a General Contractor, we were on site a couple times a week, and it really helped point out issues, and made us feel confident we were getting what we paid for. In regards to the design, we felt the custom options we selected which had to be sole sourced (were not available in the design center) were reviewed, and presented to us in a timely fashion, and at a fair cost to us. Would definitely use Cedarglen Homes again! It as great overall. We appreciated our site super Derek. He bent over backwards to help any way he could. Thank you for another amazing home Cedarglen! Everyone I worked with was professional and very knowledgeable. All questions were answered quickly. My Dad is now looking for a house and I’ve referred him to see the show homes. Thanks for the great build. I can’t wait to take possession! The process so far has been pretty awesome. Amy at the Design Center is amazing and had answers and budget numbers to all our questions, she has been awesome to work with and she really knows her stuff! There was a slight hickup as our Customer Rep (Kyla) left Cedarglen in the middle of process but Amy stepped in to take over and the level of service/communication since then has been great again. One of the only challenging parts of the process was there was a slight disconnect during plan sign offs where we were asking for changes/revisions which were being communicated from the showhome to drafting and estimating and it seemed like some stuff was getting lost in translation. Some of the plan revisions weren't priced out until they were signed off on (which is somewhat understandable) but there was a couple weeks where we concerned with what some of these revisions/upgrades were going to actually cost. It all ended up working out in the end and we got pretty much everything we wanted in our approximate budget. I'm guessing some of the customization we did probable complicated this process slightly. Also for the electrical orientation we used the standard electrical plans (and we marked stuff up with Jason on site) but we made fairly significant revisions to the electrical layouts which caused the site marked up plans to be extremely confusing. We had actually given Cedarglen our desired electrical layout marked up prior to the electrical orientation so drafting could update the plans before our site markups but we were told we'd just figure it out on site. Jason agreed with us that drafting should have done the plan up so we had a better 'baseline' to start with. We had to end up moving some pot lights twice on site (which Jason did for us because he's awesome) but that would have been avoided with a more clean electrical plan for the electrician to work from. Ultimately it all worked out ok (again) so not a huge deal. We have built with other builders before and this process with Cedarglen has been significantly more enjoyable. Great service and excellent customer service. Happy to having first buyer with Cedarglen. It was absolutely great. Very positive experience. It was great building our home with Cedarglen. Wayne and Mike were very helpful throughout. Just a few things I would like to mention though: For any first time homebuyer, the builder representatives should go one step further to explain each and everything in detail. It should not be assumed that the homebuyers would already know some things. Also, there were not sufficient selection options in design centre. In this case, the builder should have given the option to book appointment directly with their suppliers such that the homebuyer could go there and select. And it would be good to see more time provided for interior selections. Other than that everything else was great. The entire process was fantastic from start to finish. Beginning with Dennis at sales, Sandi was fantastic and such a help, Kyle made the construction phase much less stressful than could have been. The staff is second to none. Every question or concern (there were lots) were taken care of immediately and made the entire build a joy. We would build again in a heartbeat with Cedarglen, but we love our house so much, I doubt we will be building again for awhile! This is our first home build and new to the building terminology and building process. It would be great if more time is spent on explaining what we are getting into and perhaps another meeting to put it all together. Provide samples, where possible, of some interior selections like, carpet, tile, hardwood, etc. to refresh memory. Otherwise, the process has been near perfect! Our site supervisor was amazing and easy to get ahold of and work with. He kept us informed and up to date on what was happening at the house during all stages of construction. Overall the experience was great for me and my family, given the opportunity, we would use Cedarglen in future homes. Excellent service and such a beautiful home we got. Love it! Cedarglen lives up to its promise with an outstanding team! Even though I am under the opinion that there is alway room for improvement in all aspects of life, you however are doing perfection justice! I am very satisfied with the sales and interior design process. However, I suggest that there should be available schedules during Saturdays for the interior design process. It;s okay. If I buy at Avenue, I would look for a Cedarglen Home again. A bit more time in selections would be nice, however it was still very helpful and adequate! cedarglen was very thorough during the entire build and possession process. thank you cedarglen for making our build so simple and easy. -Have Cedarglen provide a standard list of suggested/potential upgrades. There are many things first time home builders wouldn't think of i.e, larger windows in the basement. We almost even forgot to include a built-in garbage in our island. -The drawings always seemed to be one stage behind throughout the whole process. This made our wiring, home solutions, etc. appointments hard and inefficient as they did not have the updated plans, resulting in a lot of back and forth emails after our appointments. Cedarglen Homes provides a fantastic product and great service. Our family is very happy with our new home. I wouldn't change anything. I found it to be well laid out. The set up of booking appointments was not effective or communicated well and it would have been beneficial to have a contact name and number of who we were meeting prior to supplier appointments. Having built with another builder before we did not have high expectations, but Cedarglen was amazing and continually showed they cared about us and the house. Trust and confidence in Cedargeln was buildup ever step of the way. I have heard how the neighbors who used another builder wish they built with Cedarglen, as they have had too many problems with their home. I do wish the standard paint was better. It's cheap paint. This stuff marks up very very easily and doesn't clean well. We were not informed about this. I also wish they could have found a way to have all the rocks removed in the final grading process. I now have to pay someone to do this. Excellent customer service from all levels from start to finish. First class treatment throughout the whole process. Would gladly recommend Cedarglen in the future. Quality of construction was the primary reason I built with Cedarglen. My expectations were met during the construction phase 100%, including the finished product. The deficiencies remaining are minor and I have confidence that they will be resolved. Chris Friesen provided timely replies asking for information before and after possession. He provides solutions that satisfy our concerns in a timely manner as well. Nothing, the experience exceeded our expectations and certainly has been a better experience than a couple of friends and colleagues using other builders. Everything else was extremely efficient and smooth. Lots of information. Every question was resolved and well looked after. We are beyond exciting with our build and building process and I am a tradesman for other home builders. For a short time that this sale was fixed, I came across a well organized builder with hassle free coordination teams from sales, service, possession and legal documentation. The Cedarglen employees we dealt with showed great customer service and were very flexible and open to our requests. They were very courteous and friendly. The process of building a new home was effortless and they gave us a good understanding of how everything works. The employees we dealt with have a lot of knowledge of what they do and also respond to emails/calls in a timely manner. We are so happy and proud of choosing, The Cedarglen Group and could not have gone for any one else in the market. The experience has been great! My only feedback is the overall paint job. If it was possible, I would of upgraded to a better paint overall and not overly impressed that it is cracking on the banisters and that it's our responsibility to fix it. In saying that, the service from the cedarglen team from start to finish has been great. Our experience with Cedarglen has been very positive. The response team is very efficient and helpful. Cedarglen were a great group to work with during all aspects of the planning and building process. Our site supervisor was very informative and helpful and if there were questions throughout the build he was quick to respond. Having talked to other home buyers I feel our experience is above average and we have to congratulate Cedarglen on the quality of the original build and their willingness to address our concerns. Available hours were inconvienent for selection visits. However, our group that we dealt with were prepared and very efficient which made our visits move along effectively. Cedarglen has treated me with respect and care. I appreciated that any concerns and questions I had were taken seriously and addressed in a timely manner. I would highly recommend Cedarglen to my friends and family. Cedarglen cares about their clients and works hard to deliver a superior level of customer service. Extremely happy we built with cedarglen. Would use this builder again. Unfortunately we weren't to pleased with out cabinetry. Thank you for fixing things. We were particularly impressed with the painting ladies - very efficient and lovely. Would not have known the were even there after the painting. Very professional too. Site Supervisor was extremely cooperative and helpful. He explained all the works that need to be done and advised us as according. Also he accommodated our needs within stipulated time. Also all Design Consultants were very much cooperative and friendly. Last but not least Customer Relationship Reps needs to be more cooperative with helping attitude. Overall we have had an excellent journey with Cedarglen Homes. We appreciate their business. Thank you. New home construction can be a challenging and stressfull experience for both buyer and bulder, but Cedarglen walked us through each stage with clear communication and responded to our questions and concerns promptly and professionally - much apreciated. I was extremely impressed with the whole process. I had build in the past and it was a grueling process. Building with Cedarglen has been a seamless process and the design team has been fantastic. I can't think of anything that I would change. I would not change a thing, everyone was great to work with and very knowledgeable about the process, products, and plans. Our designers were Becky Lowe and Julie Huynh; I asked how long the 2 ladies have worked at Cedarglen and was shocked to hear they both had less then a year service. I was very impressed as to know much Knowledge they had and how on top of everything they were. Based on the quality of service an professionalism they provided I assumed they had to be apart of the company for several years. Apart from the Sales and Design process being smooth and a pleasure to go through we also had the best service from Tyler Grindle our Site Supervisor. You can tell he really loves his job and will go above an beyond to ensure his customers are happy; he is positive, knowledgeable and treated our home as if we was building it for himself . As our Site Supervisor he was there for us day or night if we had questions or to even bounce ideas off as we planned how we would like our home to function. Tyler hands down provided the best customer support I have ever received anywhere. We would strongly recommend Cedarglen to anyone! It was a good experience. I had a great sales person and site supervisor. Everyone we dealt with at Cedarglen was awesome! Building our home was a terrific customer experience and they helped to make it fun. We recommend Cedarglen all the time. Everyone at Cedarglen Homes was very kind and courteous, and very informative. My wife and I appreciated the professionalism exhibited by all Cedarglen employees and contractors. "When customer sign the papers & Selection at Design Center after, my suggestion is builder needs to give a sample or exacta colour of sample for all selection because they are signing the paper under numbering code, customer don't know which numbering code for which color. Builder must keep sample or picture for shower tube at design center because when people sign the papers & Selection at design center they get information was that is just regular shower tube in looks and shape but actually its not. Other wise all services and everything is amazing. Its really worth to spend money with Cedarlglen. I am so happy that I had my first house with good builder and excellent customer service people. Really thanks to Mike from Cedarlglen show home (Auburn bay phase 46) helping us out for each and every difficult question." I would have preferred to have received the list of deficiencies in full details rather than just a portion of it via email. Overall, the people I've worked with Cedarglen are very pleasant and I am satisfied with the construction of my new home. I would definitely recommend Cedarglen to my friends and families. This was the second home we had built and while we were happy with the first one, we feel Cedarglen went above and beyond. They were ahead of schedule, addressed all our concerns and the finished product is excellent. Everything was pretty good, on time and completed well. I have experienced exceptional customer service from Cedarglen over the past year. The response team was very helpful, originally I dealt with Corey and recently Matt who has been very diligent, informative and responsive. Tyler Grindle has been my Site Supervisor from day one and has always gone above and beyond to resolve any issues. Very satisfied as a customer. Would use you as a builder again in the future. Everything and everybody have been great. We need to get the issue of the freezing front room resolved. Base trim will need to be replaced at some point. "Builder was and continues to by professional, approachable and fair. Our home continually draws praise from neighbors and guests who immediately notice the attention to detail, quality materials and efficient design. This was our first custom home, and the process was new and stressful for us until the staff at Cedarglen walked us through how we could build our dream home within our budget and schedule. During the turnover process, we felt like we were adopting a loved member of the Cedarglen family. They clearly explained the proper 'feeding and care' necessary to keep their creation looking and operating happy and healthy! The information and tutorials provided have kept our home looking and feeling just as beautiful as it was the day we moved in." Jason Talbot is fabulous and takes personal pride in dealing with issues. We absolutely were/are thrilled with the service we have received from Cedarglen. The team, namely Allison, Derek and Sandi, could not have been more pleasant and accommodating to work with! Great team to deal with. The explanations and home orientation were very thorough. The deficiencies in the home were VERY minor and quickly addressed. Thank you Cedarglen. "Cedarglen did a great job at possession. When we took possession of our home there were zero deficiencies. Our neighbours who built with other builders had service vans parked in front of their homes for months after possession and some of their issues were never resolved. But our home and the Cedarglen homes on the street, were all moved into without any complications. I think that says a lot about Cedarglen's quality and their trades and how they take the time to get it right. You can start enjoying your home and your neighbourhood rather than worrying about headaches." The Cedarglen Group Inc. has been a member of The Alberta New Home Warranty Program since August 11, 1983. Membership in the Program means adhering to rigorous membership standards. During their time with the Program, They have had no unresolved warranty issues and no unsatisfied Conciliations. The Cedarglen Group Inc. is a member in good standing, and has achieved the rating of an Accredited member with the Program; the highest possible rating. This rating is determined through a disciplined process that evaluates each Builder Members' operational performance based on criteria which includes: Technical Achievement (quality assurance program of the builder), Warranty Performance and Customer Satisfaction (Conciliation and Claims record), Business Practices and Resources (business expertise), and Financial Performance. 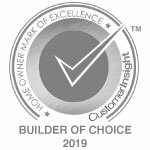 The Cedarglen Group Inc. has set a high standard of operational performance and The Alberta New Home Warranty Program is pleased to have them as a Builder Member.